During our flight from Alice Springs to Sydney, we had a 4 hour layover in Melbourne, the biggest city in Victoria. This was perfect as I always wanted to see Melbourne because this city hosts Australian Open, a major tennis tournament. The airport is very close to the city and the ride takes only 17 minutes with the SkyBus. Ticket is approx. $46 for a round trip (kids ride at discount prices) and the busses run every 20minutes. Check their time table so you can plan accordingly. Also, the city operates the largest tram system in the world, and you can easily plan your trip here. Yarra Promenade on the bank of Yarra River is full of cafes, restaurants and bars in downtown Melbourne. Its an easy walk from the SkyBus stop to the promenade, and for more tech savvy travelers you can even download the WalksMelbourne app to see all great places to explore. There are few pedestrian bridges that you can use to quickly move across. Most of the things you want to see are near the river, including narrow pedestrian laneways. The Centre Place is famous for its vibrant bars, cafes, restaurants and street art and graffiti. As we walked around the Collins Street, we stumbled upon the Big Boy BBQ where we had a quick lunch. 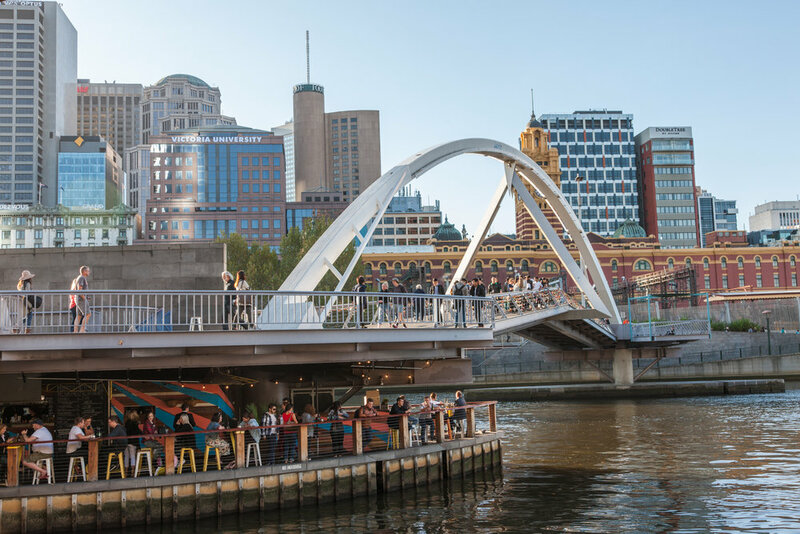 Overall, Melbourne is just perfect to stroll down on promenade and narrow pedestrian alleys, and sip a cold beer in one of the many popular bars and restaurants. Be aware of many protests in Melbourne as they are organized annually, and it might complicate your visit or your trip back to the airport. I wish we stayed longer in this beautiful city and explore more, but next time for sure.